Pregnant women can generally obtain sufficient amounts of all the required vitamins and minerals through a varied and well-balanced diet. 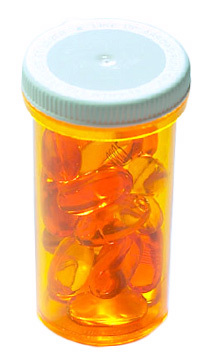 Pregnant women should only take vitamin supplements as recommended by a healthcare provider. Supplements should never be an option to replace a healthy and balanced diet. Folic acid is an important nutrient during pregnancy as it helps to prevent a condition known as neural tube defect which affects the brain and spinal cord development in a fetus. Neural tube defects normally occur 28 days after conception, a period when most of the women are unaware of their pregnancy. It is thus recommended that woman of childbearing age or wish to conceive, to take 400mcg of folic acid daily, starting before conception and continuing for the first 12 weeks of pregnancy. Food rich in folic acid include citrus fruits, nuts, beans and green leafy vegetables. It is vital during the first few months of pregnancy to supply adequate vitamin D to the fetus. 10 mcg or 600 IU of vitamin D is recommended each day during pregnancy. As a result of not getting enough vitamin D during pregnancy, it could affect the calcium absorption in the fetus. A lack of calcium will lead to development of weak bones and teeth. Foods rich in Vitamin D include oily fish such as sardines, mackerel and salmon, eggs and meat. The best source of Vitamin D is sunlight. Iron is also an essential nutrient during pregnancy as the amount of blood in your body increases during this period to about 50 % above the normal. This is because more iron is required for the developing fetus and placenta, especially in the second and third trimester. Iron-deficiency anemia during pregnancy could be associated with pre-term delivery, low birth weight and infant mortality. The recommended dose of iron for pregnant women is 27 mg per day. Red meat is one of the best sources of iron from the diet. For vegetarians or vegans, it is possible to obtain iron from legumes, green-leafy vegetables and grains. Vitamin C is an immune booster that not only aids in wound healing, but also acts as an antioxidant. Pregnant women need at least 85mg of Vitamin C per day. Citrus fruits are one of the best sources of Vitamin C but generally green leafy vegetables and many other fruits and vegetables are excellent sources. Calcium is essential for the development a healthy bones and teeth in the fetus. It is also essential for the development of normal heart rhythm and blood clotting abilities. If pregnant women do not consume sufficient calcium, the fetus might draw the calcium from the mother, which may impair the mother’s bone health. It is recommended for a pregnant woman to have a daily intake of 1000mg of calcium. Dairy products and fish with edible bones such as sardines are rich in calcium. Breads, almonds, tofu and green leafy vegetables such as watercress and broccoli are good sources of calcium. Zinc is essential for the rapid cell growth that occurs during pregnancy. A deficiency in this mineral would lead to incidences of such as miscarriage and low birth weight. It is recommended that pregnant women to be able to have an intake of 11mg of zinc daily. Red meat and fortified cereal are good sources of this mineral. Other foods rich in zinc include shellfish, poultry, beans, nuts and whole grains. Omega 3 is aids in the development of the baby’s neurological and visual system. Omega-3 fatty acids may also prevent pre-term labour, increase birth weight and reduce the risk of allergies in infants. It is recommended that pregnant mothers have a daily intake of 300mg of DHA daily. The best sources of omega-3 are deep sea fishes such as salmon, tuna and sardines. However, since some of these fish may have high mercury levels, as such, purified fish oil supplements are often recommended as a safer source.